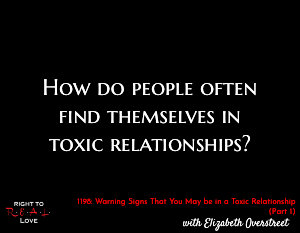 In this episode, Yahnathan is joined by relationship coach and author Elizabeth Overstreet to address the question: How do people often find themselves in toxic relationships? How do people often find themselves in toxic relationships? What a toxic relationship is. The importance of setting proper boundaries in relationships. How the environment people grow up in can impact their relationships.